Oshoala, who previously won the award in 2014 and 2016, was named Women’s Footballer of the Year last Thursday by CAF, beating Cameroun’s Gabrielle Aboudi Onguene and Chrestina Kgatlana of South Africa to the top prize. The 2015 BBC Women’s Footballer of the Year, who moved to Dalian Quanjian of China at the beginning of last season after enduring a not-so-successful period in England with Liverpool and Arsenal ladies, yesterday presented the CAF Award trophy to the Group Managing Director of Emzor Pharmaceutical, Dr. Stella Okoli in Ikoyi Lagos. Oshoala has been Emzor’s Brand Ambassador since 2016. 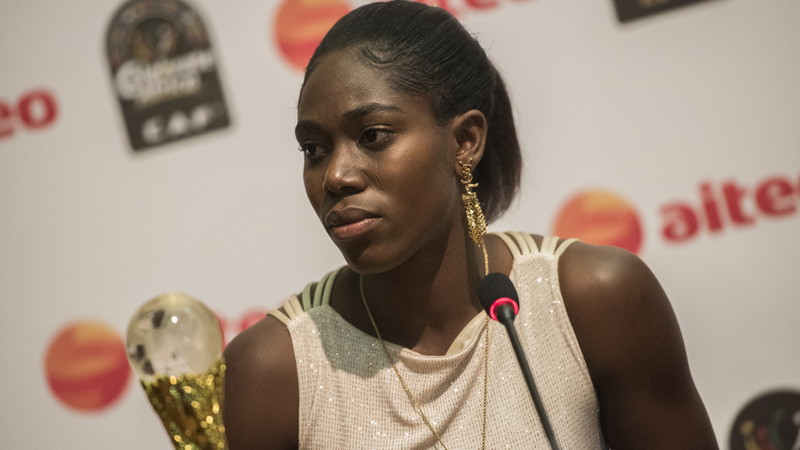 Speaking at the occasion, Oshoala, who scored 12 goals in her first season in China, including a brace in the final game of the season said: “This trophy is not for me. 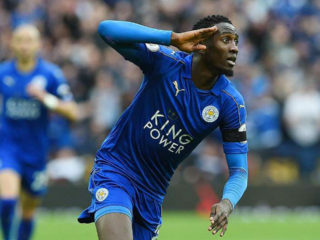 It is for the younger generation, the kids who look up to me, the brand I represent and to all Nigerians who have provided the needed encouragement for me to move on in my football career. Oshoala was particularly pleased with the role Emzor has played in her career saying: “As a young woman that is growing up, Emzor has motivated me so much. Whenever I look at myself, and the achievements I have made over the years, I always remember the day I signed that endorsement with Emzor. I will continue to be a good brand ambassador, not only to Emzor but to Nigeria and African continent,” she stated. The striker, whose exploits earned Quanjian a league and Cup double, and was crowned the League’s Best Striker, disclosed that she was not sure if she will continue with the Chinese club or return to Europe this season, just as she declared that her major interest this year is to help the Super Falcons pick a World Cup ticket and also defend the AFCON title in Ghana.